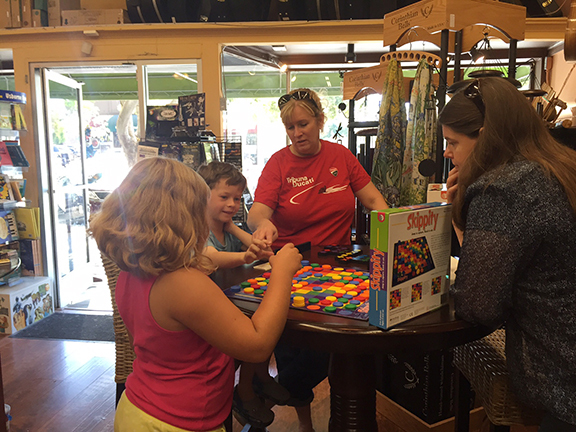 A full day filled with hands-on demonstrations of a variety of games, including raffled prizes! 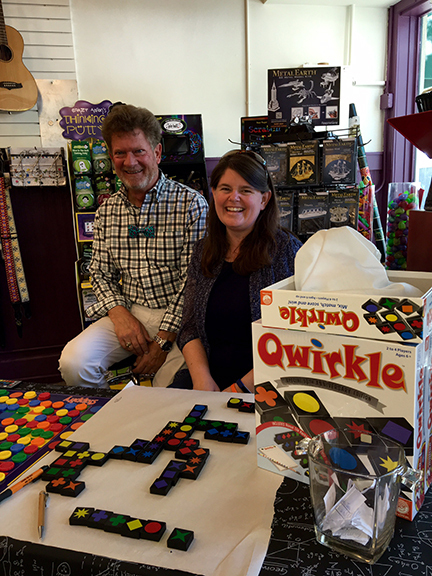 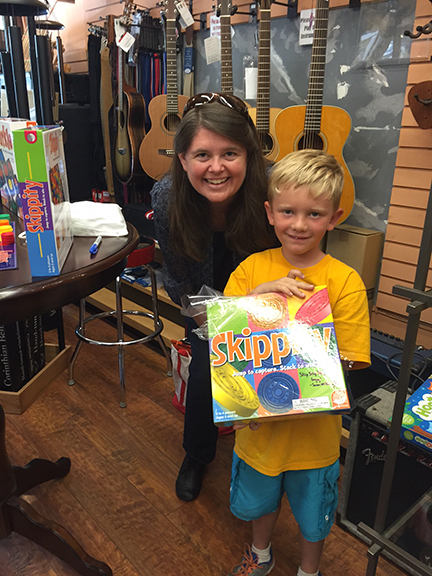 Special guest, Susan McKinley Ross, inventor of Qwirkle, Skippity and other games will appear at both our stores. 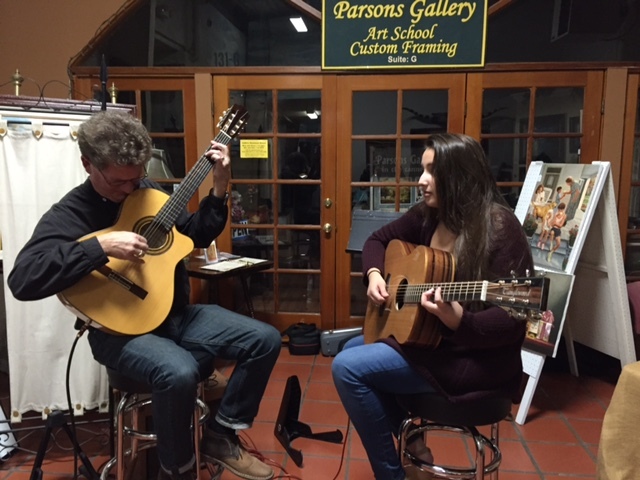 Stan and Cailey performed together in downtown Benicia at Cullen’s monthly tasting. 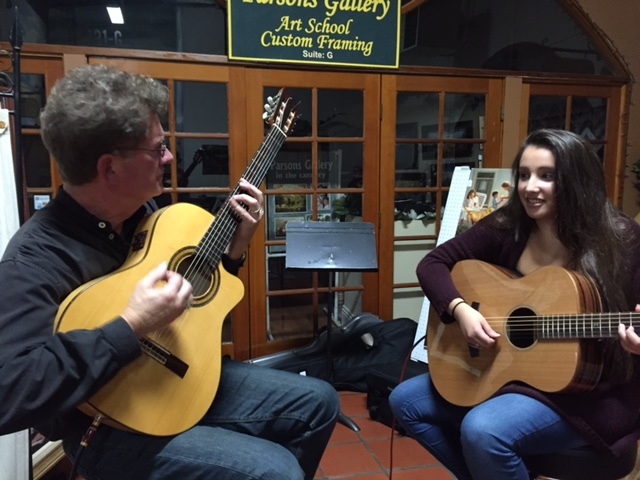 Cailey has been Stan’s guitar student for 10 years. 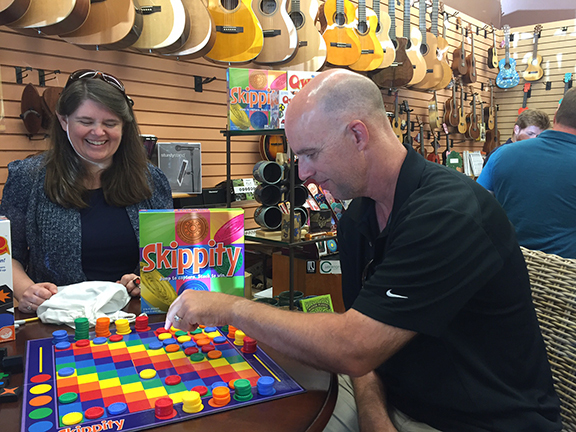 Stan believes that learning an instrument needs to include performance as well as playing with other musicians. 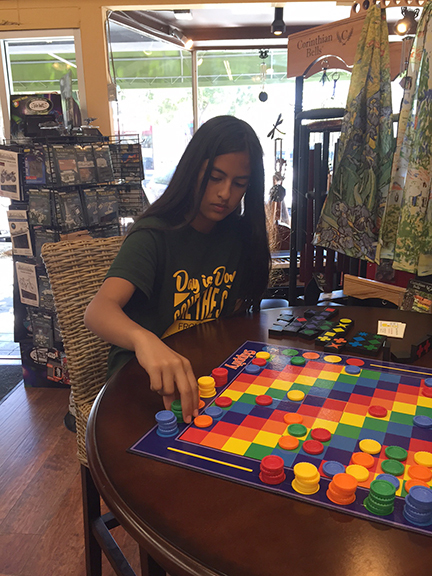 This enables the student to learn when to lead and when to follow….both are important. 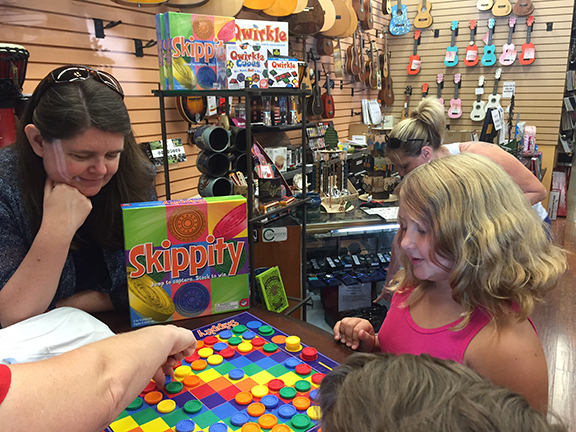 Isn’t this a lesson for us all…? 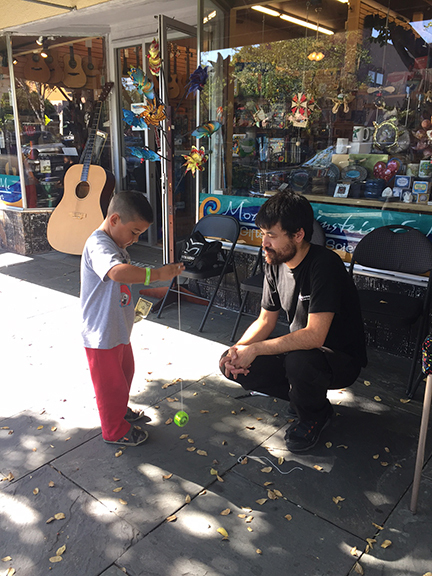 Here is a photo of the guitarist for Hewy Lewis and the News, Stef Burns, purchasing gifts for his daughter at Mozart Einstein and Me at the Benicia store. 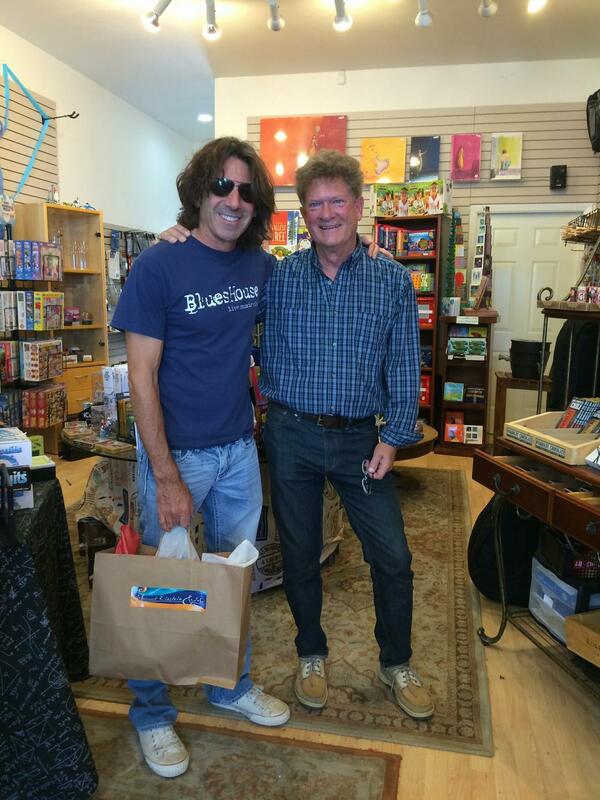 Stef and store owner, Stan Houston, have been friends for many years. 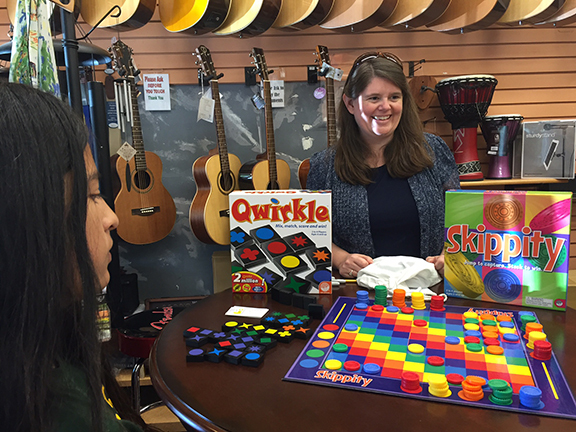 Help Support Our Scholarship Students!